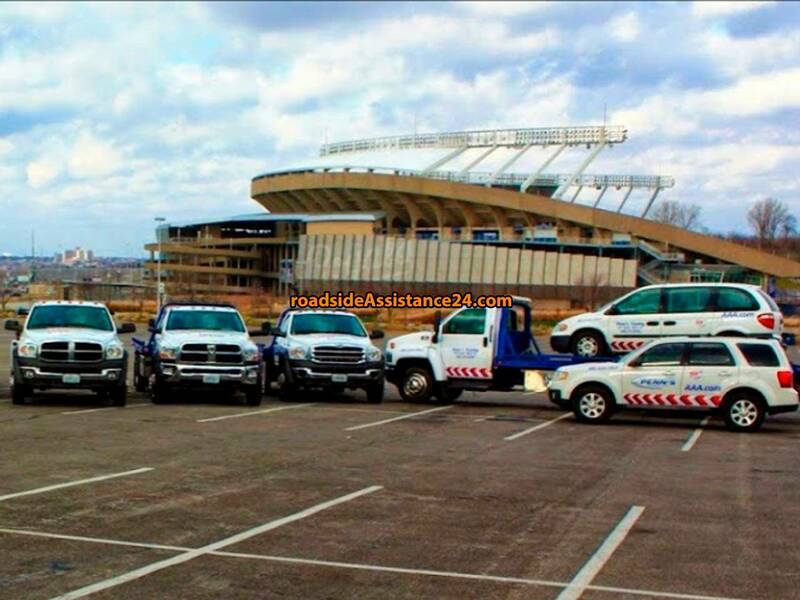 The local Penn's Tow Services in Kansas City serves you within 30 minute response time in most areas of Kansas City. The closer the cheaper. Call us now! Penn's Tow has been a AAA service provider for more then 30 years. We believe our customer service and satisfaction is most important. We have computer dispatching and GPS tracking on our fleet of 14 trucks, allowing us to be more efficient in meeting your needs as soon as possible. We serve the Kansas City and surrounding areas 24 hours a day and 7 days of week. Your review helps to choose cheap towing and roadside assistance services near Kansas City. Click an icon on the map and get a phone number of the closest wrecker service near Kansas City! Install mobile application Roadside Assistance 24 and get the phone numbers of the closest towing and roadside assistance services near Kansas City.